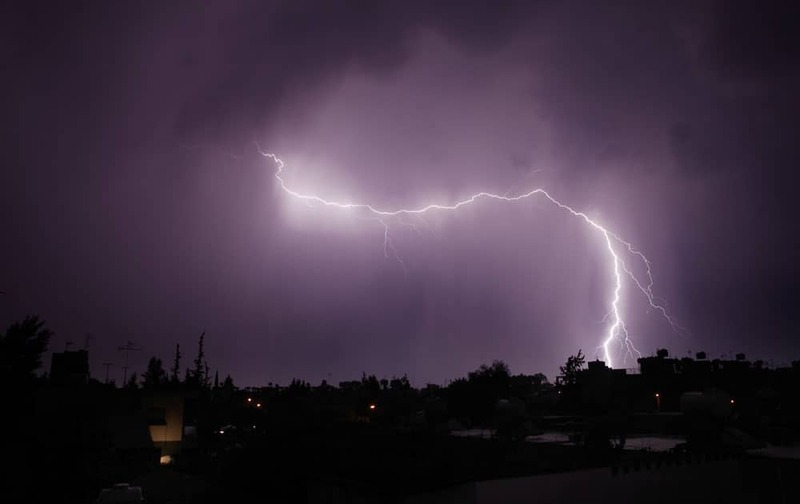 Lightning bolts seen over the capital Nicosia, Cyprus. 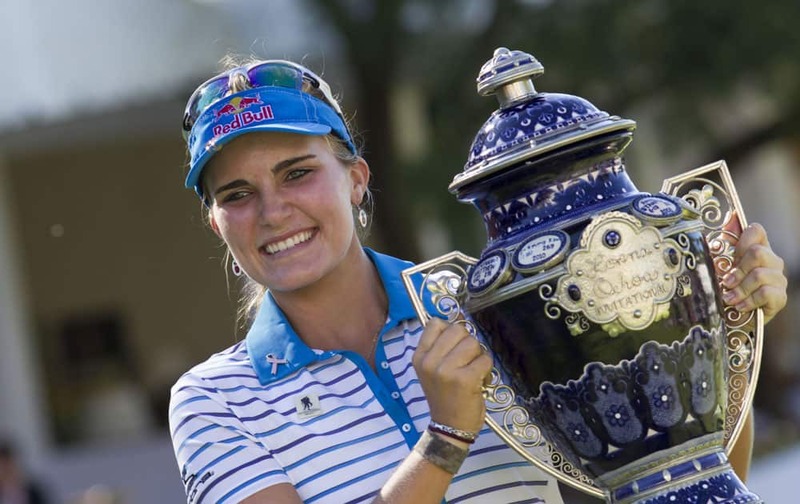 Lexi Thompson holds up her trophy after she won this year`s Lorena Ochoa Invitational in Guadalajara, Mexico. 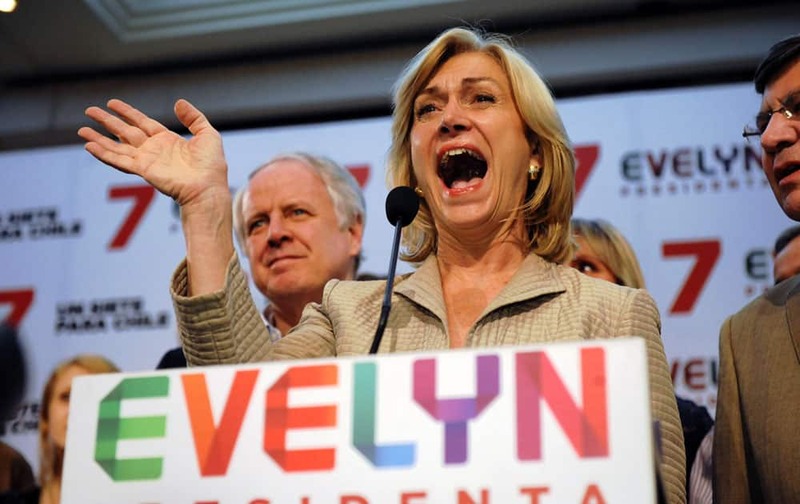 Chile`s presidential candidate Evelyn Matthei speaks to supporters as first results of presidential elections are known in Santiago, Chile. 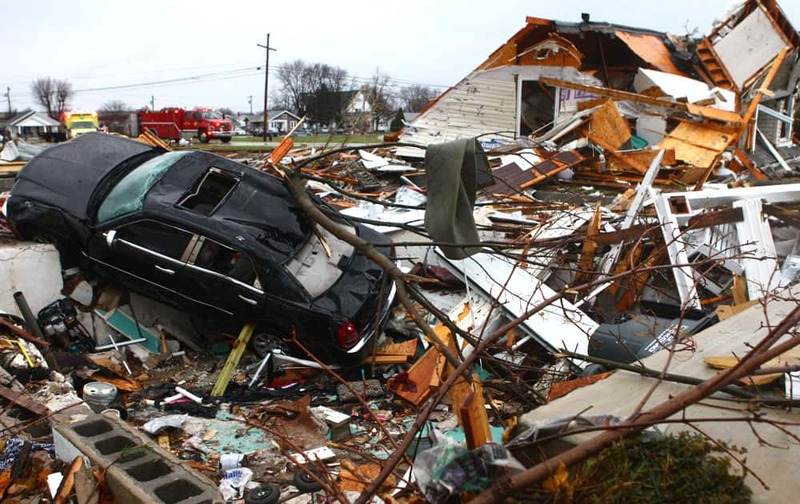 A car sits halfway in a basement at a leveled home near Home Avenue and Hoffer Street in Kokomo. 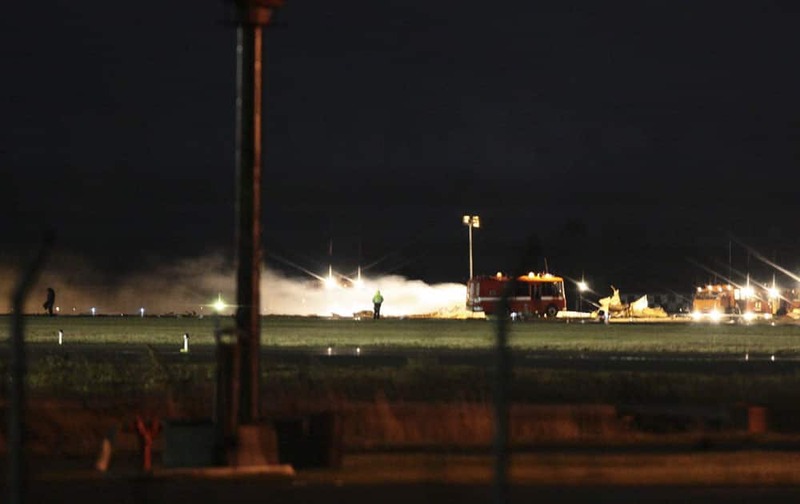 View of debris at the crash site of the Russian passenger airliner, Boeing 737, near Kazan, the capital of the Tatarstan republic, about 720 kilometers (450 miles) east of Moscow, early Monday, Nov. 18, 2013. 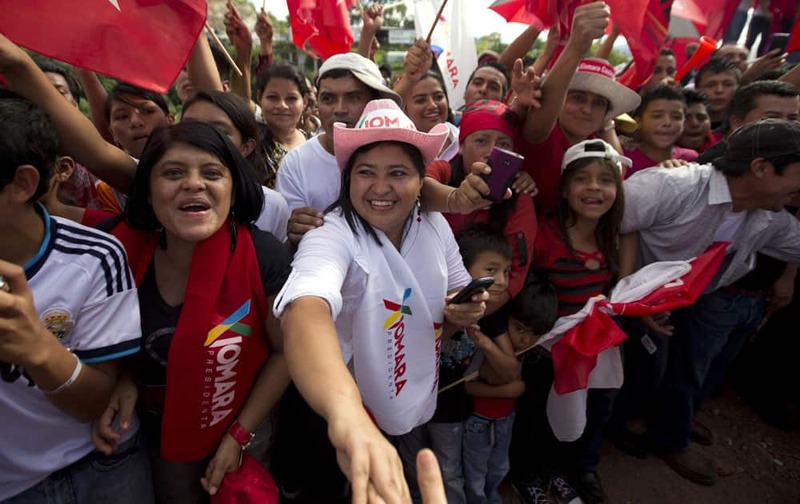 Supporters of presidential candidate Xiomara Castro attend her closing campaign rally in Tegucigalpa. 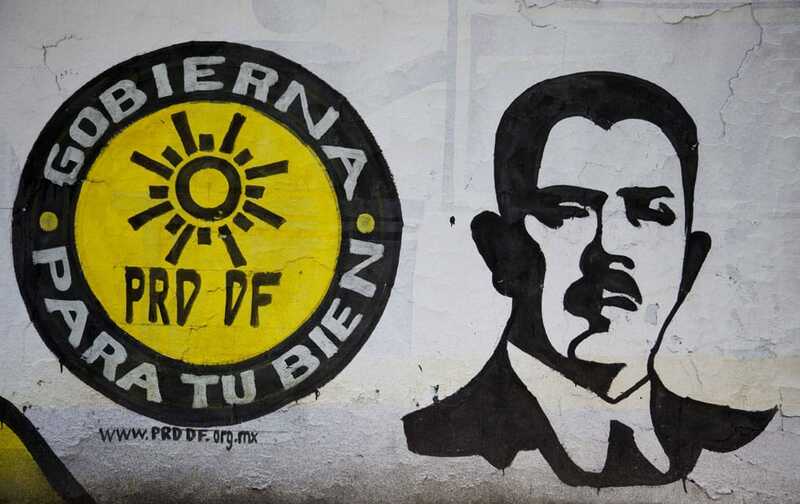 A mural of Mexico`s former President Lazaro Cardenas covers a wall as part of propaganda from the PRD political party in Mexico City. 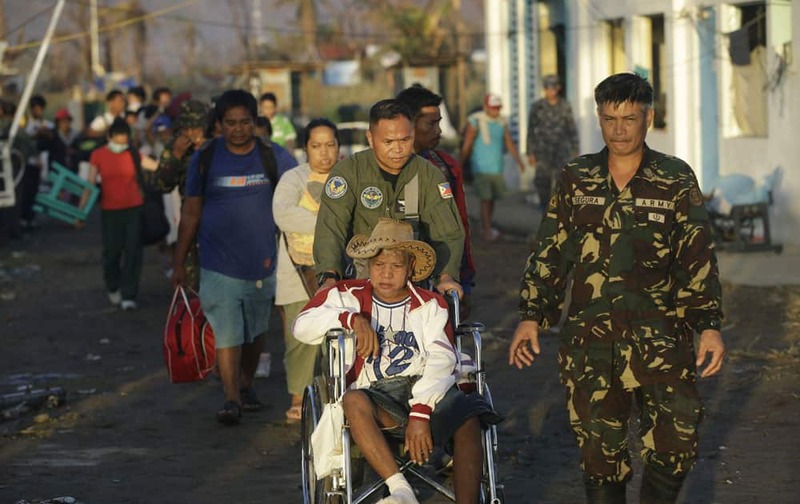 Filipino military personnel assist an elderly individual in a wheel chair as typhoon survivors queue up to get onto an evacuation flight to leave the typhoon-ravaged city of Tacloban, in the Philippines. 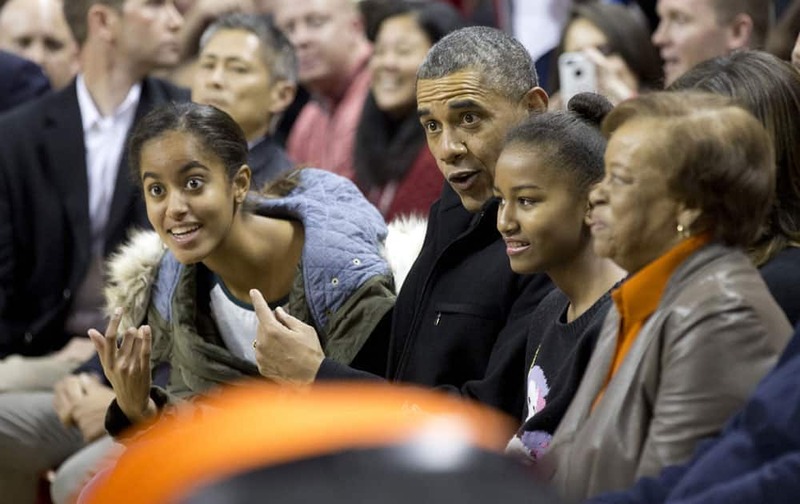 President Barack Obama, second from with first lady Michelle Obama, and their daughters Malia, left, Sasha, second from right, and mother-in-law Marian Robinson, right, arrive at the Comcast Center in College Park, Md., to watch his brother-in-law Oregon State Beavers Coach Craig Robinson’s basketball team play against the Maryland Terrapins. 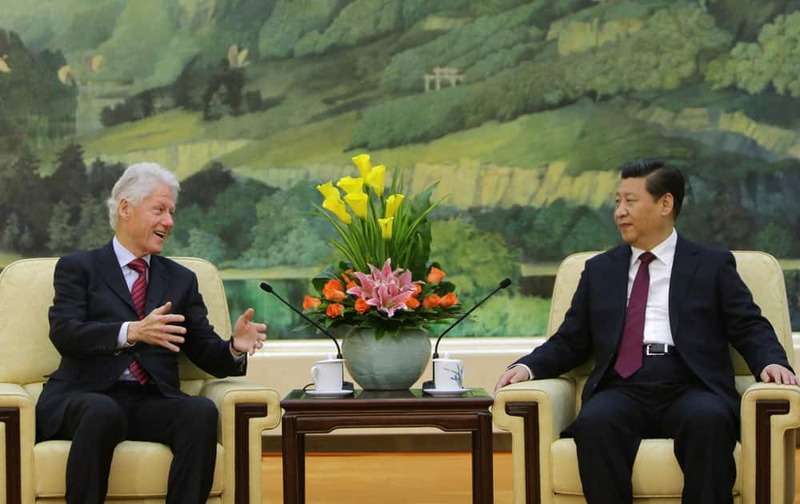 Former US President Bill Clinton, left, speaks to China`s President Xi Jinping during a meeting at the Great Hall of the People, in Beijing. YSR Congress party president Y.S. Jaganmohan Reddy meets BJP President Rajnath Singh at his residence in New Delhi. 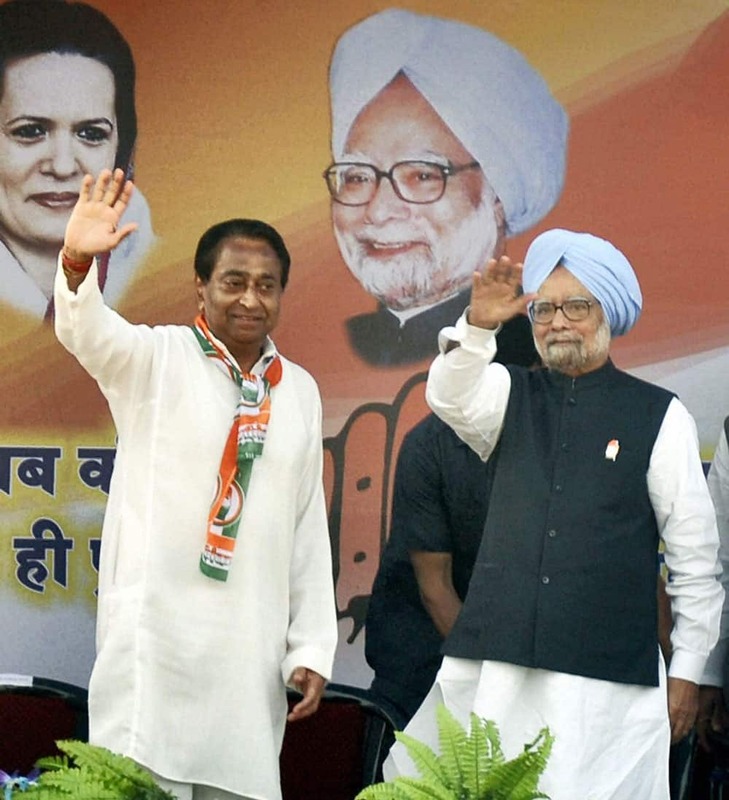 Prime Minister Manmohan Singh with Union Minister Kamal Nath waves during a public meeting in Jabalpur. Red Bull driver Sebastian Vettel of Germany walks past the Dallas Cowboy cheerleaders before the Formula One US Grand Prix auto race at the Circuit of the Americas. 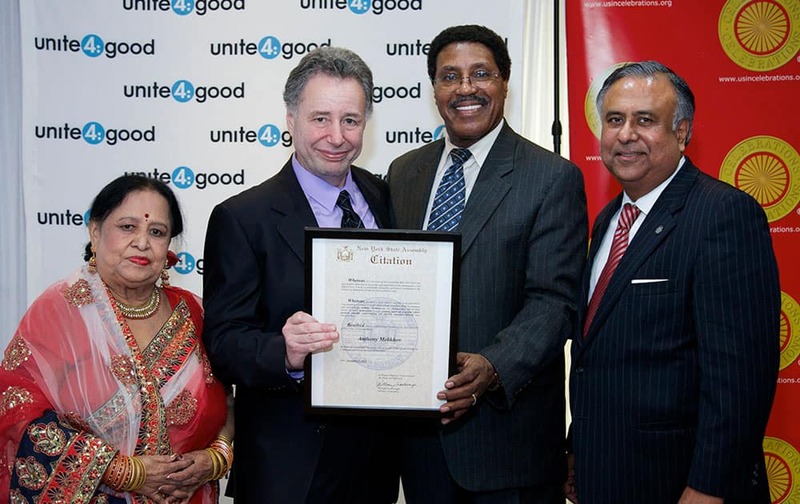 Unite4:good founder Anthony Melikhov, center, receives New York State Assembly Citation from New York State Assemblyman William Scarborough, right, flanked by Uma Sengupta, District Leader Queens, left, and Roger Sengupta at the Unite4:good New York City launch event to promote revolutionary movement for humanity, in the Flushing section of the Queens borough of New York. 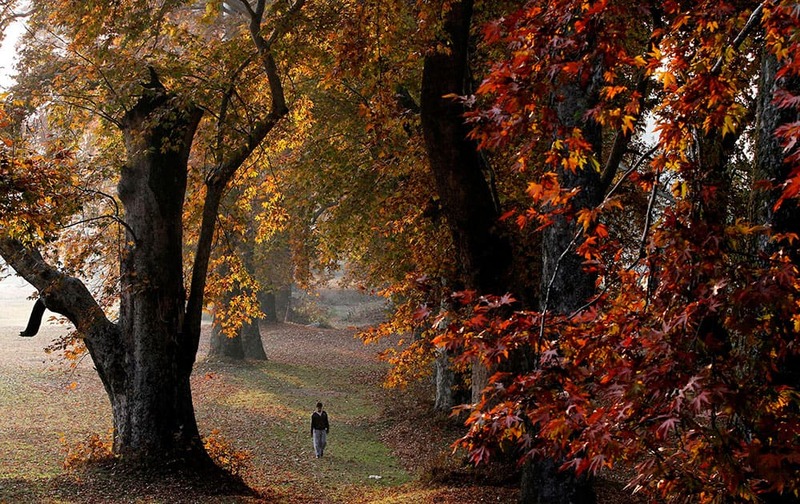 A Kashmiri boy walks in a garden, covered with fallen Chinar leaves on the outskirts of Srinagar. 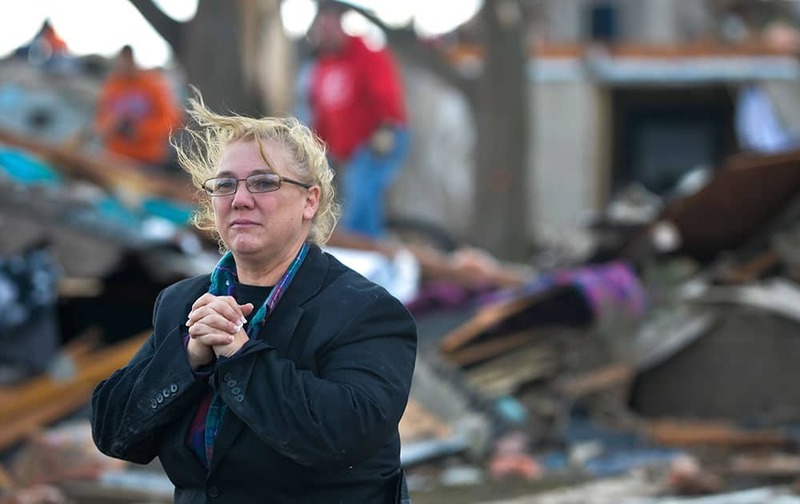 A resident of Washington, Ill., surveys the damage to her home and neighbors after a tornado and severe thunderstorms swept through a portion of the town. 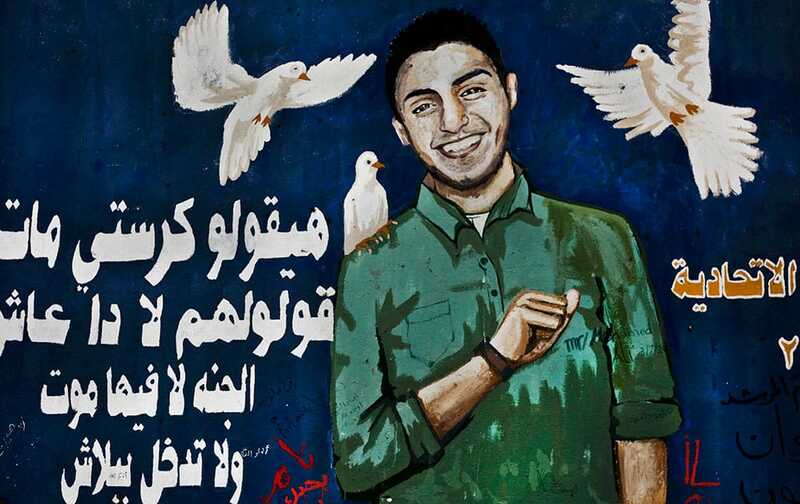 A mural depicting Egyptian activist, Mohammed Hussein, who died during anti-government protests in 2013 is painted on a wall in Tahrir Square, Cairo, Egypt. 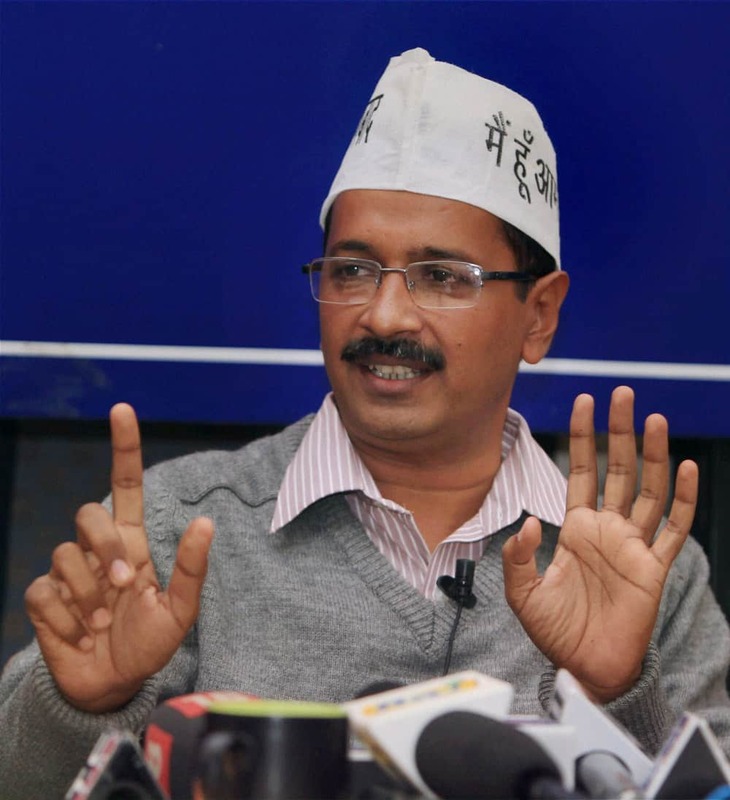 AAP convener Arvind Kejriwal addresses during a interactive session organised by Indian Women`s Corps in New Delhi. 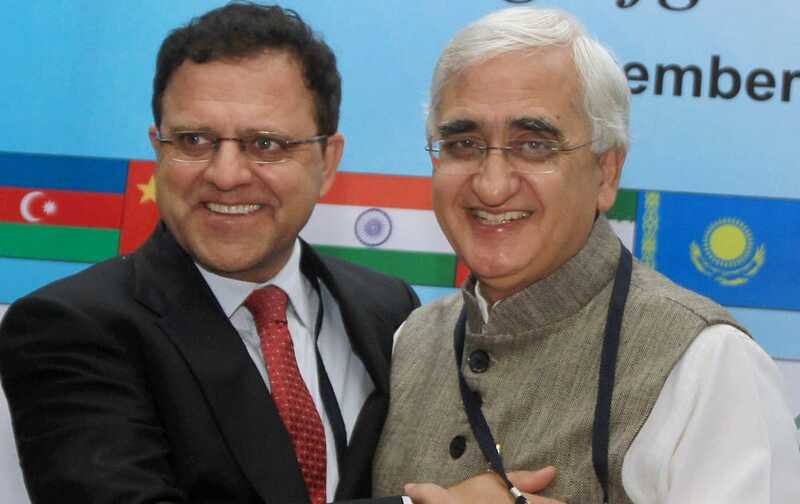 Foreign Minister Salman Khurshid with Afghanistan Finance Minister Hazarat Omar Zakhilwal during the conference. Buddhist monks prepare to release sky lantern after a blessing ceremony during the Loy Krathong Festival at a temple in Chiang Mai, Thailand. 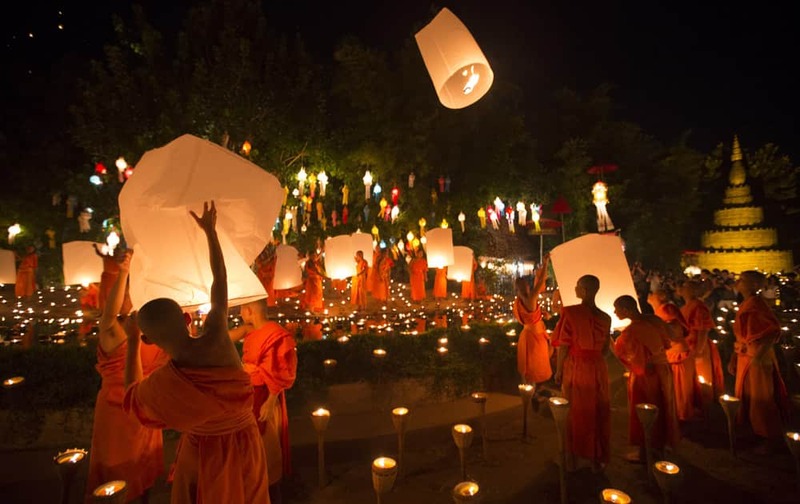 Buddhist monks prepare to release sky lantern after a blessing ceremony during the Loy Krathong Festival at a temple in Chiang Mai, Thailand. 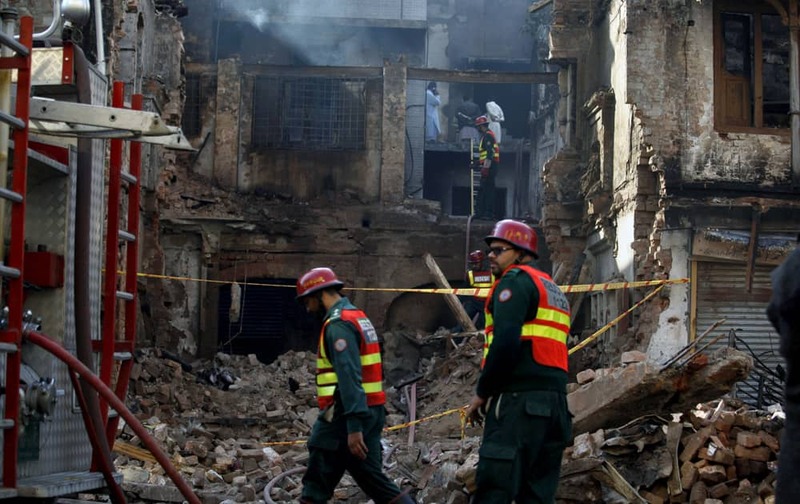 Pakistani rescue workers work in a burnt building, which was torched in the Friday`s sectarian clashes, in Rawalpindi. 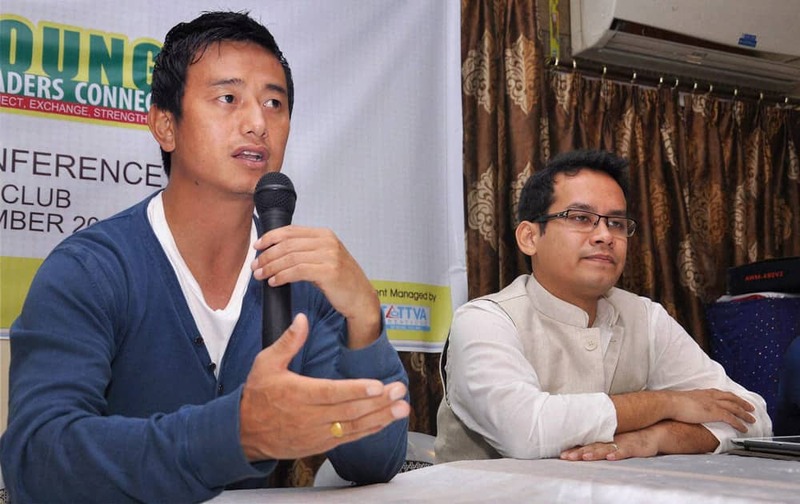 Football star Baichung Bhutia addressing a press conference regarding 3rd edition of the Young Leaders Connect in Guwahati. 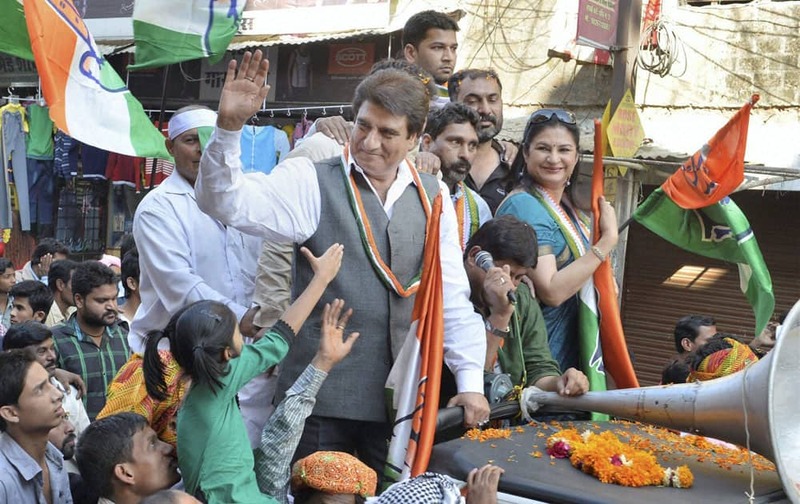 Congress MP Raj Babbar campaigning for the party candidate Arif Masood in Bhopal. 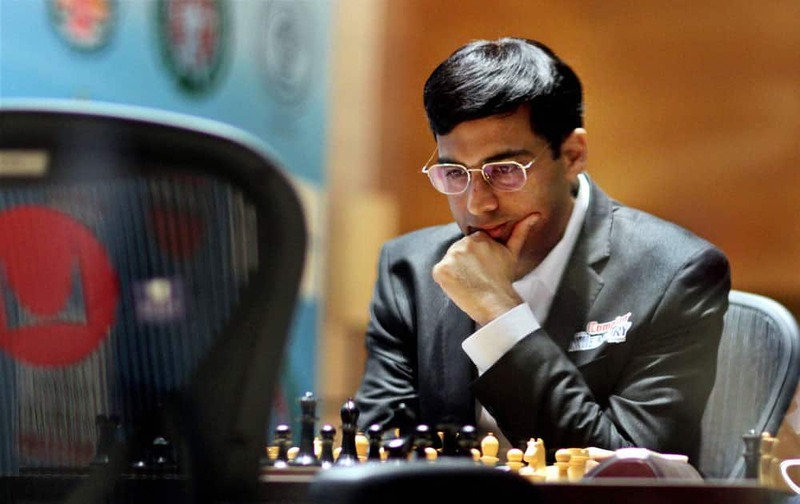 Viswanathan Anand of India during the seventh match against Magnus Carlsen of Norway at FIDE World Chess Championship in Chennai. 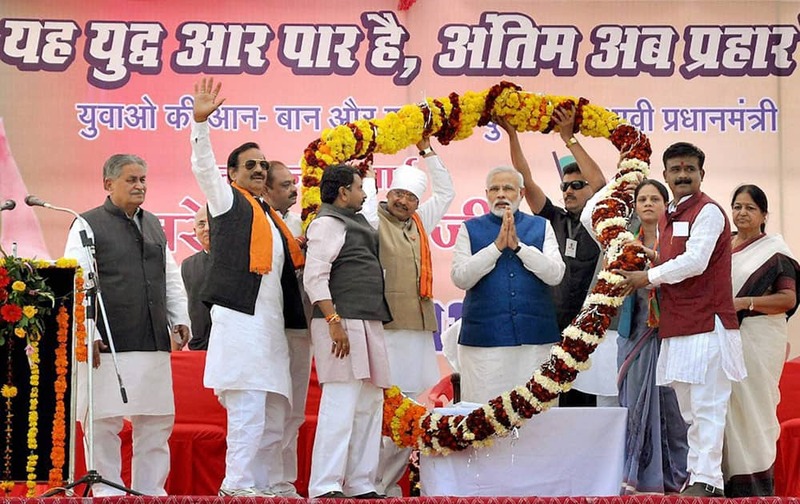 BJP` Prime Ministerial candidate Narendra Modi being garlanded during an election rally in Chhatarpur, Madhya Pradesh. Chief priest PN Narayanan Namboothiri and Thantri Kandararu Maheswararu preparing for ‘Kalababhishekam’ at Lord Ayyappa temple in Sabarimala. 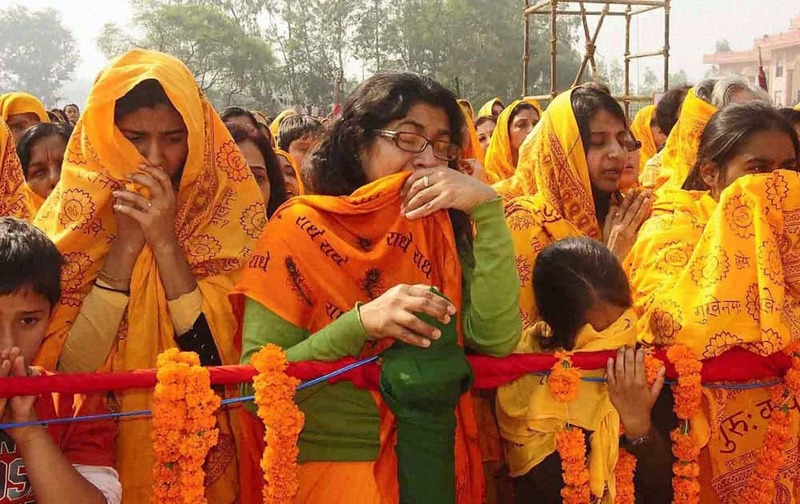 Followers of Jagadguru Kripaluji Maharaj mourn during his funeral ceremony at Bhakti Dham in Mangarh near Pratapgarh. 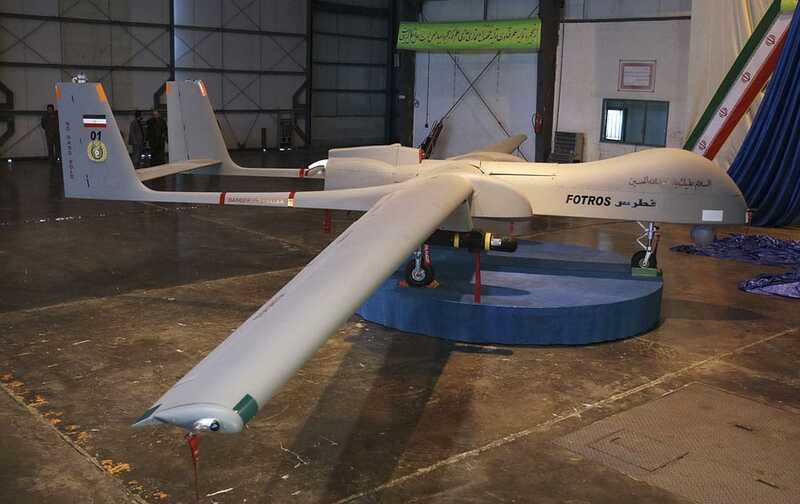 Iranian Defense Ministry claims to show a Fotros drone aircraft, in an undisclosed location, in Iran. Iran unveiled a new aircraft Monday that it says is the biggest drone yet to be developed in the Islamic Republic, capable of staying aloft for up to 30 hours. 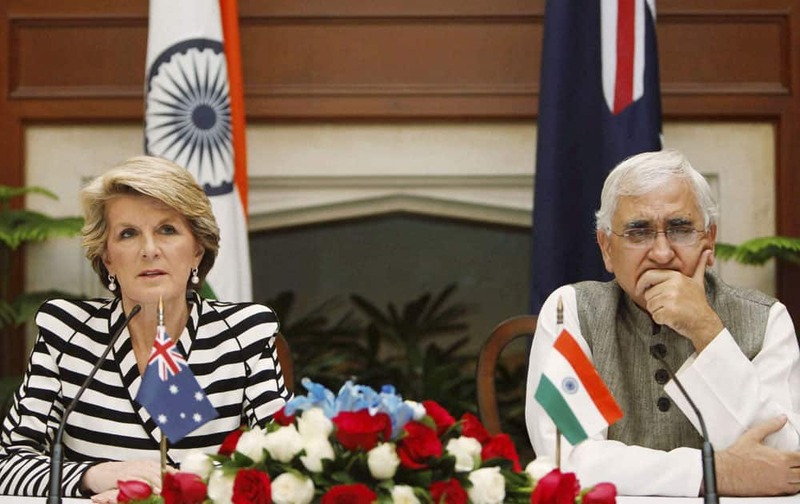 External Affairs Minister Salman Khurshid looks on as his Australian counterpart Julie Bishop speaks during a joint press conference at Hyderabad house in New Delhi. 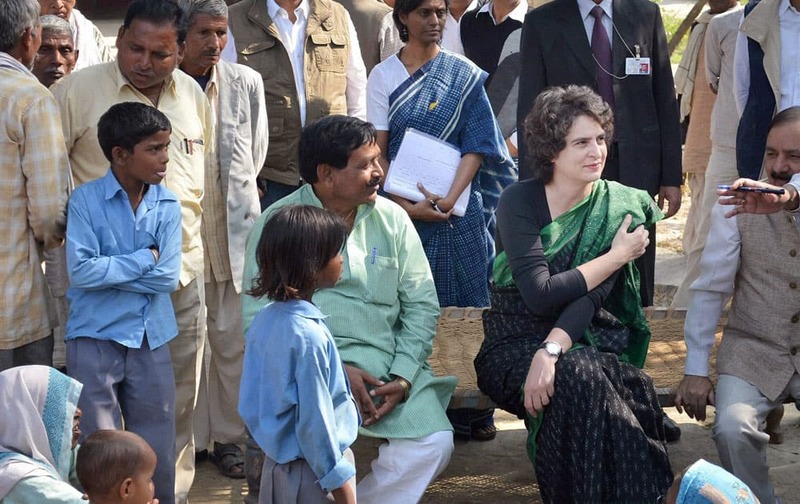 Priyanka Vadra listening to the problems of villagers at Rampur Khas in Raebareli. 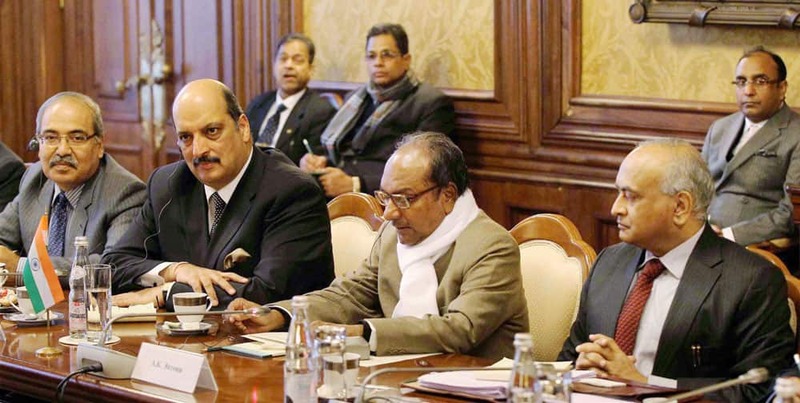 Defence Minister AK Antony at 13th Meeting of the India _ Russia Inter-Governmental Commission on Military Technical Cooperation (IRIGC-MTC) in Moscow. 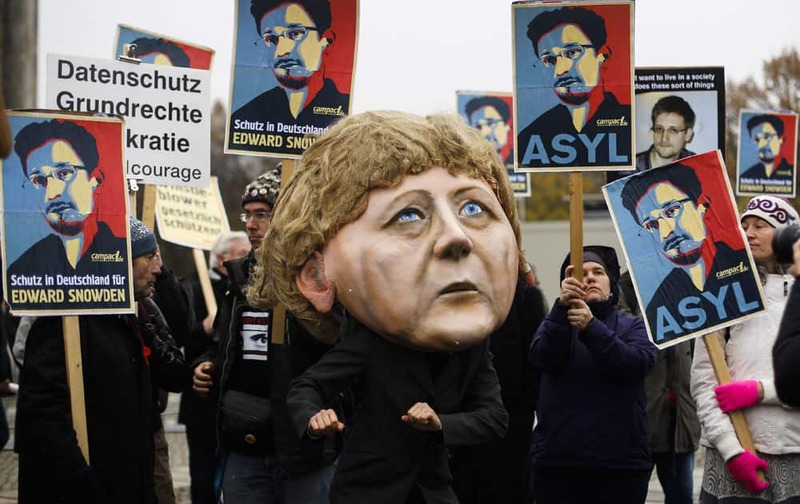 A demonstrator with a mask depicting German Chancellor Angela Merkel poses in front of other protesters holding posters of former National Security Agency NSA member Edward Snowden outside the German parliament building prior to a special meeting of the parliament on US German relationships, in Berlin. Aam Aadmi Party leader Manish Sisodiya cleans the face of party convener Arvind Kejriwal after a man threw black ink at him at a press conference in New Delhi. 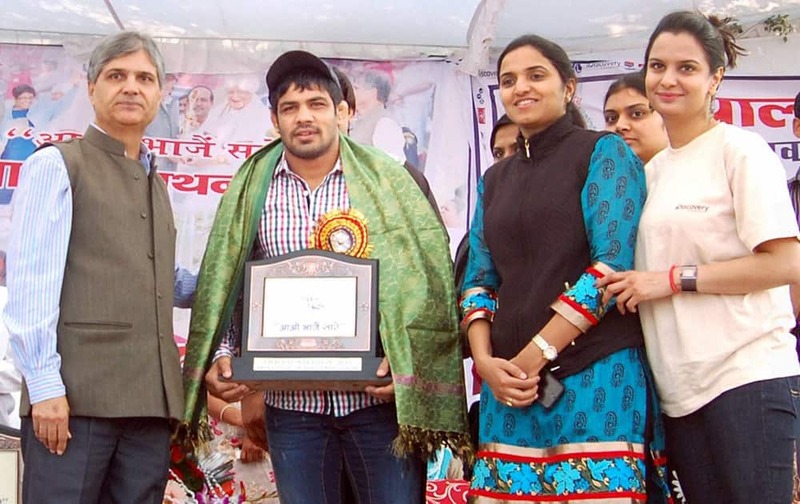 Dr. Rajendra Tonk presents a memento to Olympian Sushil Kumar during a event in Sonipat.